"Vazandar" is an upcoming marathi film which is written and directed by "Sachin Kundalkar" a two-time "National Film Award" winner once as a director for Nirop (2007) and second time as a screenwriter for Gandha (2009). But most of us recognize him for his two Marathi film 'Happy Journey' which was having a very different subject and 'Rajwade and Sons' for first stylish Marathi film. His upcoming film "Vazandar" is also based on a very unusual subject of weight loss, where two healthy women's are trying to loose their weight. 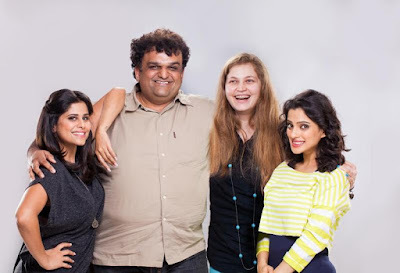 The main lead in this film is played by "Sai Tamhankar" and "Priya Bapat", beside them film also stars Siddharth Chandekar, Chirag Patil and Chetan Chitnis essaying major roles. the film is begin produced by "Vidhi Kasliwal" under the banner of 'Landmarc Films'.